The official Hamilton County, Indiana Travel Guide is your go-to resource for things to do just north of Indianapolis. Discover all the places to explore in Carmel, Fishers, Noblesville, Westfield and beyond. Start planning your vacation in Indiana. 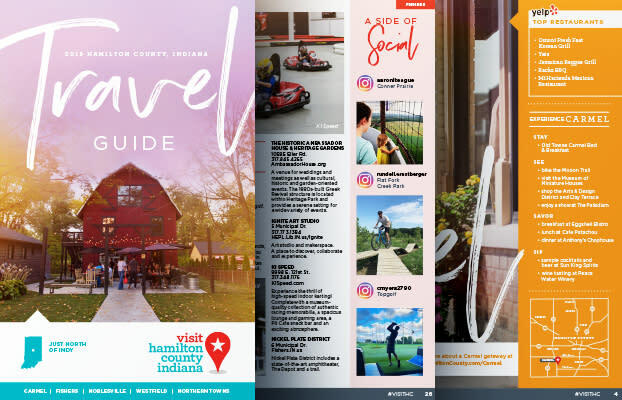 Fill out the form below to request your free Hamilton County, Indiana travel guide and inspiration will arrive in your mailbox shortly. By selecting yes, you are signing up to receive promotional emails from Visit Hamilton County based on the interests you select below. You can unsubscribe at any time.